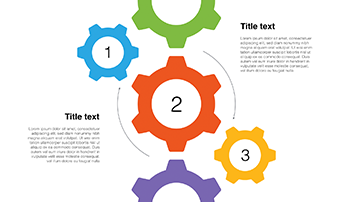 Shape Gears image for PowerPoint .PPT - Download Free Now! 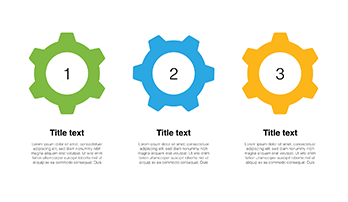 What is the slide with gears image for? We are pleased to greet you on our site! 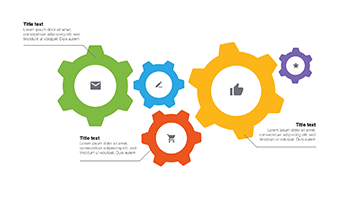 Here you’ll find dozens of premade professional templates for PowerPoint including various charts, lots of models, a great variety of infographic elements including the slides with gears image and other useful tools. Having created something, you want to tell about it to others. And not just to tell the story, but present it in all colors and details and inform the listenerscustomers that the creation is the best, unique, and has many advantages. The presentation is an indispensable tool in such cases. how to make a presentation correctly and professionally? are there any rules for creating presentations? The creation of the presentation is not an easy task. You should take into account many options, learn a lot, and spend much time. If you want to work quickly and efficiently, you can use our professional ready-made slides and templates. Today, one of the most common, convenient, multifunctional, and at the same time simple programs for the creation of a vivid presentation is PowerPoint. Thanks to it, complex or boring numerical or text information turns into successively combined slides and diagrams that can be represented at meetings and seminars. However, standard PowerPoint templates are simple and commonplace. Its design is boring. We offer you unique templates with modern minimalistic design that suits any business event, marketing reports, etc. The presentation is a set of slides, each of which can contain text, illustrations, various graphic elements and other information. It allows clear and vivid information presentation. Visualized statistics, text massifs are perceived easier. The slide serves as assistant at work and meetings. You can rely on it and in case of missing some point, look at the slide and find it. High quality. If you want to prove your professionalism and create a good reputation, the quality of your presentation should be excellent. Choosing this template, you can be sure that your presentation won’t have visible defects when you display it on high-resolution screens. Built-in tools. It is possible to edit vector elements. A premade easy-to-use slide. 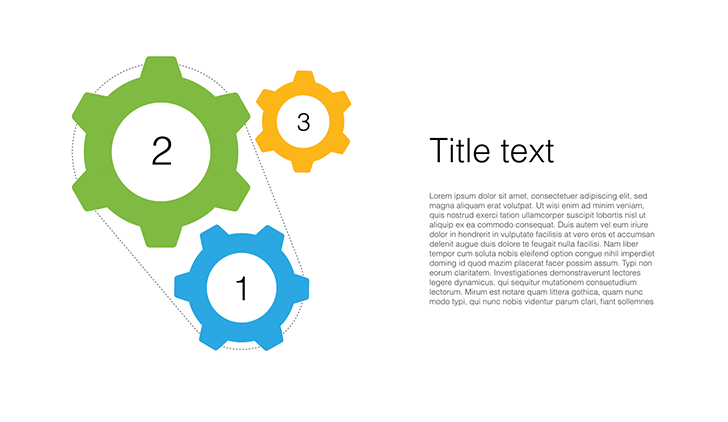 The purpose of the slide with gears image is to save time and simplify your working process. The level of knowledge and skills doesn’t matter as everyone is able to cope with it.